Is The Order: 1886 the Most Photorealistic Game Ever? 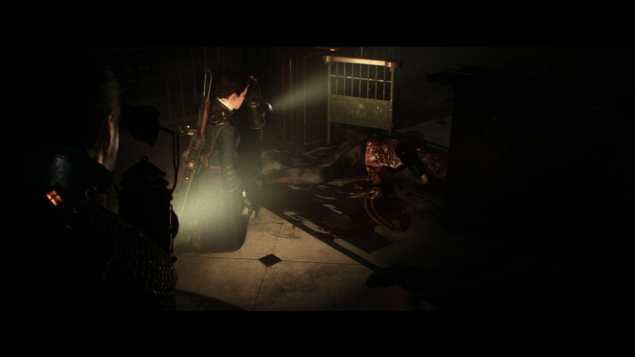 The Order: 1886 game Director Dana Jan, gave an interview on the latest Playstation Blogcast and shared his thoughts on the game’s graphics and how watching videos on YouTube does not do the game justice. He also mentioned that early in the game’s development the team was not sure whether going for photorealism was a good idea or not. “Let’s just see how far we can go.” they said “The uncanny valley…can we cross it? He feels that they’re not up to photorealism yet, although he believes that they are pretty close. He continues that it’s not going to be a problem based on hardware limitations and that developers can figure out ways to truly take advantage of the hardware and push it just a little bit further in order to achieve better results. Another positive aspect, is the fact that using the same models in both cutscenes and gameplay in-engine, makes the transition seamless and more believable, as every little detail that happens in-game like getting wounded, transitions into the cutscenes. The astounding detail seen in the characters’ costumes like the stitching on the wool jackets, carry on into the cutscenes, something that would not have been possible with pre-rendered CG, because of the limited storage capacity of the Blu-ray. He explained that animations in the game, are motion captured and that motion capture data was tweaked extensively to make sure that gameplay and controls are as responsive as possible. “No concessions have been made” he mentioned. They redid the cover system from scratch several times over, until it worked and the game not only looked amazing but played amazing as well. The Order: 1886 ‘s team looked for imperfections so as to avoid characters looking too perfect. He further mentioned that there was a very extensive process, of finding the right actor for each character, comparing their ideas of the characteristics they wanted, with famous actors. The team wanted the game’s characters to look as human as possible, so they looked for imperfections so as to avoid characters appearing too perfect or too symmetrical. Some of the characters are actual 1:1 representations of the actors that played them and that, will be quite noticeable in the game. He concludes that he was able to notice the same acting nuances, that he noticed during the performance capture session, happen in the game. Even if watching The Order: 1886’s gameplay videos does not do the game justice, it just boggles the mind how far towards photo-realism the team at Ready at Dawn has managed to come. Let’s hope that the game succeeds in matching the impressive visual fidelity with great gameplay and enough variety to satisfy gamers and critics alike.